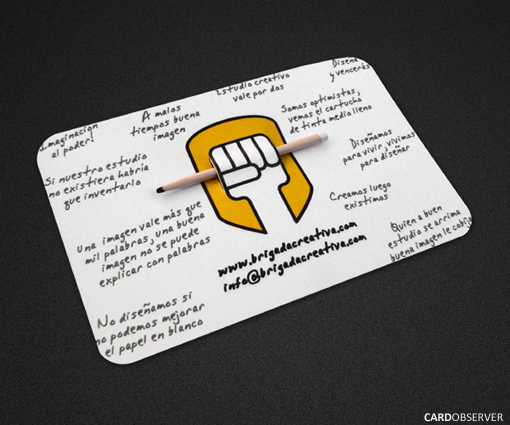 We decided to play with our logo to create a nice and original business card design. The pencil of our logo handed the paper to become real. Moreover he wrote a collection of quotations and proverbs adapted to graphic design.